1943: WHO SAID "YOU CAN'T GO HOME AGAIN?" This guest book entry from Ms. Kathryn Lacy Wake was posted today. 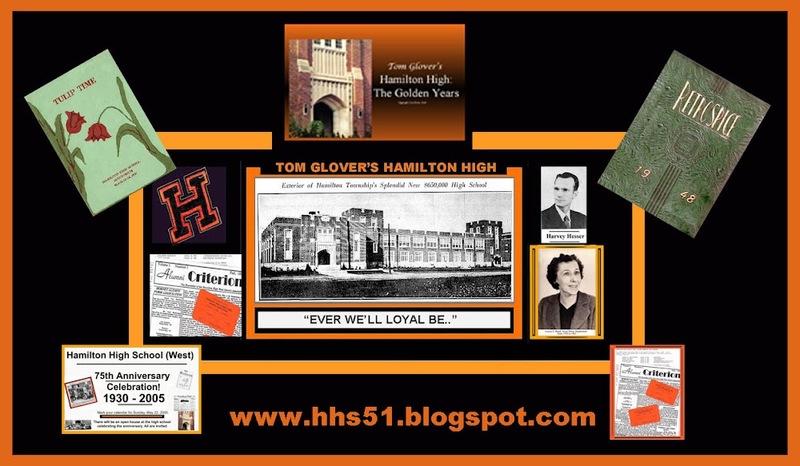 Kathryn is looking for fellow HHS '43 classmates with whom to re-establish contact. Kathryn, it is an unfortunate truth that your generation is sadly lacking in computer involvement. 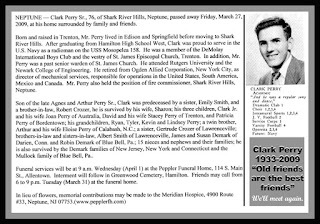 I just wrote about that very thing in my "Sentimental Journey" column in the Trenton Times. I hope you find a classmate who is into computing and reads this, but the chances are mighty slim. One of the really great things about my web blogs is re-kindling old acquaintances. Elise visited my website, hopefully as a result of my recent TIMES column on the subject of computers and the lack of senior citizen involvement. Lovely Elise was the queen of our class of '51 senior ball. There she sits, majestically on her throne, a vision of loveliness. 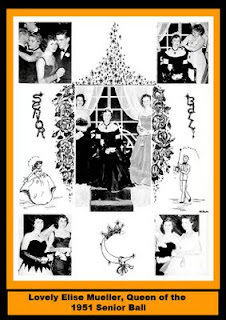 Another vision of loveliness is standing to her immediate right (on the left in the center photo), a young lady named Shirley Whitebread who was a blazing "old flame*" back in Kuser School, and also a regular duet partner of mine in the Kuser School glee club. *"old flame" is a seldom heard phrase familiar to only those of us who are in the over 60 generation. The phrase has been replaced with "an ex."